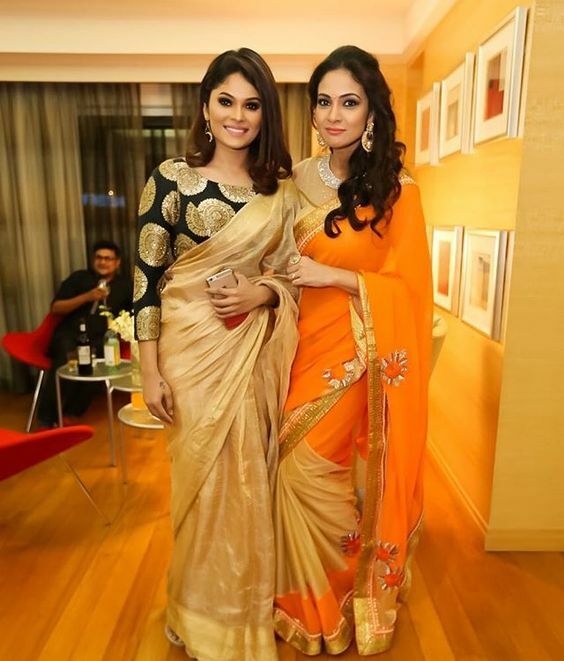 While chiffon and georgette sarees are also appreciated by women in India due to their light weight and versatility to wear in any season, silk sarees have their own sheen and crispiness. Designer sarees are crafted in georgettes and crepes with lavish embroideries or embellishments. A wedding saree in georgette is the latest trend and makes brides look magnificent and trendy while providing chic look. While velvet sarees are also making waves in today’s fashion world due to their rich look and royal feel, chiffons are preferred in summers due to light feel and touch. London is the city of dreams with many Indian families residing there and several showrooms of sarees are present in London, which has high quality silk sarees for brides in the city. Whether you are looking for a dress for your cocktail party or for Mehndi ceremony, there are several saree showrooms in London itself for your every requirement. Krishna sarees are based in London since past 25 years and it is an Asian fashion house which has outfits for the entire family. The store is widely trusted and well known by individuals in London and you can buy sarees crafted in latest trends from the outlet. Brides can buy heavy silk sarees in pure zari or georgette sarees embellished with sequence or gota patti. You can purchase a designer saree for your cocktail party or silk saree with complete accessories for your upcoming wedding. Krishna sarees houses products which are a real value for money and the team is dedicated to serve clients with the latest trends at affordable prices. The store has different products added every week to give their customers' advantage of new sarees every time they visit the store. You can even order online on their website and get instant doorstep delivery by choosing from thousands of products online. Now don’t worry about looking fabulous on your wedding functions as you can buy fabulous sarees from Krishna and shine like a moon on your D-day. Nalli silk sarees are well known throughout India and the world as they change the aura of an Indian bride by providing ethereal grace and beauty. This drape heightens up the glamour quotient and panache of the wearer and Nalli has matchless silk sarees which are pure and remarkable. The store has the largest collection of sarees sourced from every corner of India and you can buy diverse varieties of silks fabricated in exquisite designs and authentic silk material. These sarees are known for the richness and exclusivity teamed up with luxury in authentic zari handcrafted by the royal weavers of India. Silk sarees by Nalli are an heirloom and your upcoming generations can adorn the sarees crafted in silk and gold. The store is about 87 years old with great trust of clients for providing high quality. It is an iconic brand which is synonymous with purity crafted in genuine silk. The store is a leading brand for pure silk sarees in authentic quality which is the foremost manufacturer and provider of bridal collection. Variety silk store is a weaver’s legacy from India, which started in 1958 and is a great hit with brides for their wedding sarees. The store owners are immensely knowledgeable about pure handloom sarees and have several varieties like Banarsi, Bandhani, Panetars, Kanjiwaram, Tanjore or paithani sarees. Variety silk store started as a large outlet in UK and became a household name by providing vibrant colors, high quality and immense durability in silk sarees woven in great designs. The store provides impeccable quality and flawless services to all its clients while preserving its heritage and legacy. You can purchase great collections from the showroom for both bride and groom which are hand-picked from 300 suppliers across India to provide best quality at affordable prices. Whether you want to buy sarees for your cocktail or Mehendi, variety silk has it all and you can even add accessories matching the ensemble from the showroom. The store has in-house designers who can create customized ensembles for your wedding or help you choose the right saree for your reception. You can step out looking mystical and mesmerizing on your special day and stand out from the crowd. If you are looking for Bollywood or celebrity inspired sarees, the store has it all and you can look fabulous without burning a hole in your pocket. You can purchase mesmerizing sarees from Anokhi house of sarees based in London for your upcoming wedding as they have fashionable sarees as well as traditional sarees for your ever changing moods. Established in 1966, the store has been committed to providing gorgeous bridal wear to all the mystical Indian brides in UK. As the name spells, Anokhi or unique is very innovative and exclusive in designing sarees for brides and houses stunning bridal wear sourced from trustable suppliers in India. With a very strong foundation, Anokhi has ruled the ethnic fashion market by providing clothing which is a blend of modernity with tradition resulting in awe-inspiring products. Even though there are several Indians who reside in London, but their heart is always in India and they crave Indian things. These stores located in the city have the pure essence of India and you can feel at home when visiting these awesome showrooms.